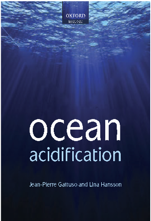 Julie Cole and Jean-Pierre Gattuso will co-chair session 2 on “Climate change and ocean acidification” at the 11th Pacific Science Inter-Congress, Tahiti, 2-6 March 2009. The Pacific Region is a critical one from the standpoint of climate change and variability, and stands to face some of the most severe impacts of anthropogenic climate change as atmospheric CO2 increases, sea level rises, ocean acidification intensifies, and climate warms. Climate modelling and paleoclimate reconstruction offer important and complementary tools for understanding past and future changes. Ecosystems face unprecedented challenges as the oceans become more acidic, human land-use intensifies, and extreme temperature and rainfall events become more frequent. 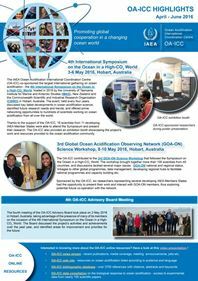 2- Document the extent, magnitude and future trajectory of ocean acidification in the Pacific region, its impact on marine organisms and ecosystems, and its potential socio-economic implications. Studies dealing with monitoring, experimental perturbations and modelling are particularly welcome.